What’s slowly seeping through this woman’s pants, could soon be seen in every street in England. This protest is so brave! Over her entire life, the average woman spends over $18,000 on sanitary products (or 12,000 pounds) for her period. Must she? 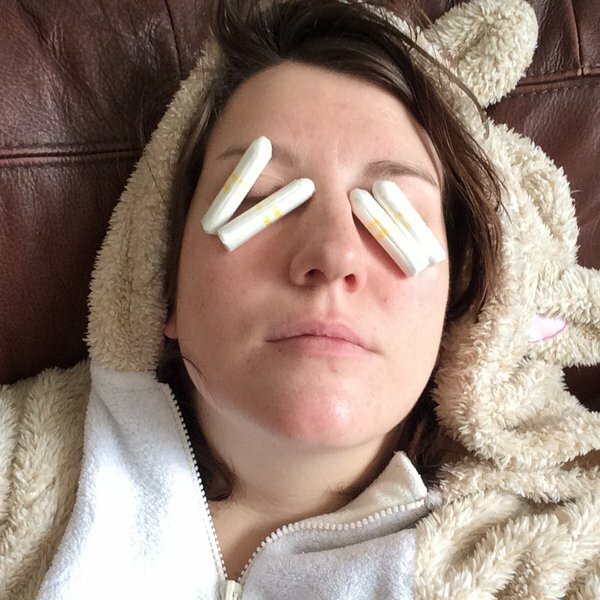 The British Parliament disagrees and has passed something unbelievable: tampons and maxi pads belong to "luxury products" and thus are subject to a 5% tax. Because if women couldn't afford this "luxury" once a month, then this is exactly what the alternative would be. Red stains on your pants and marevouls seating opportunities, whether at home or in the public. 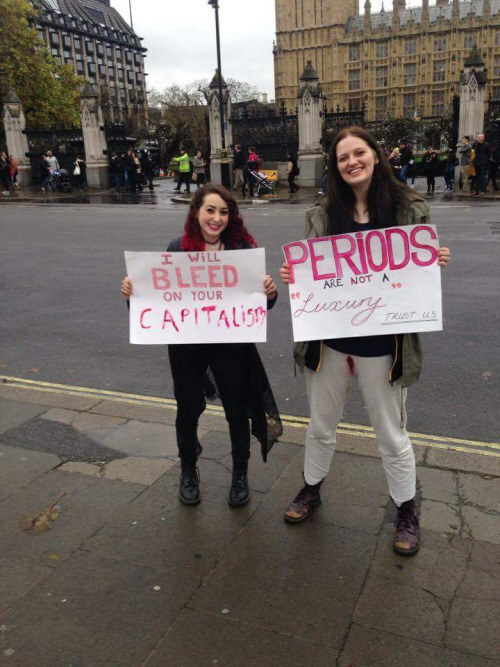 Charlie finds this classification as insulting: "Periods are not a luxury," is written on her protest sign. The passerbys reactions were overwhelmingly positive, they are happy someone is protesting in a way that really hits the nail on the head. Even though some observers were disgusted, the women saw it as a success since it proves that tampons and other sanitary products are no luxury. Their brave protest was supposed to shock and outrage the decisionmakers. Also, it is supposed to spread awareness among voters and show them what kind of iniquities are often passed without us knowing. For edible cake decoration and helicopters aren't considered luxury goods. SHARE this extraordinary protest if you are against this unfair tax!